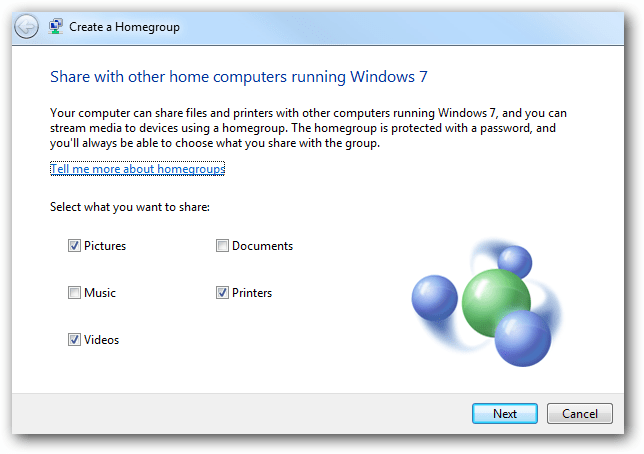 The new HomeGroup feature makes sharing files and printers between Windows 7 machines very easy. Today we will take a closer look at this new feature to show how easy the sharing process is. 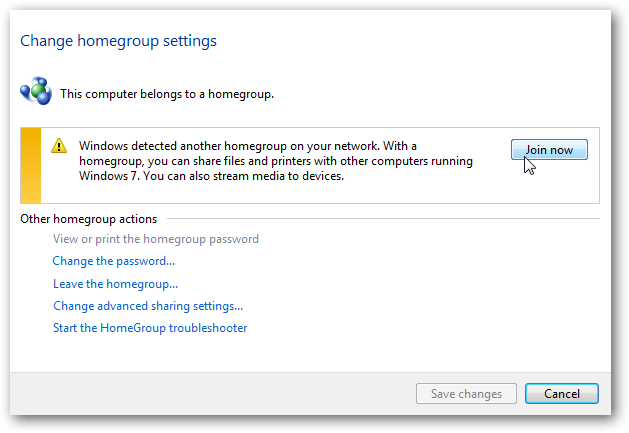 There are several ways to access the HomeGroup feature, go to Control Panel and click on“Choose homegroup and sharing options” or just type “homegroup” without quotes into the start menu search bar. 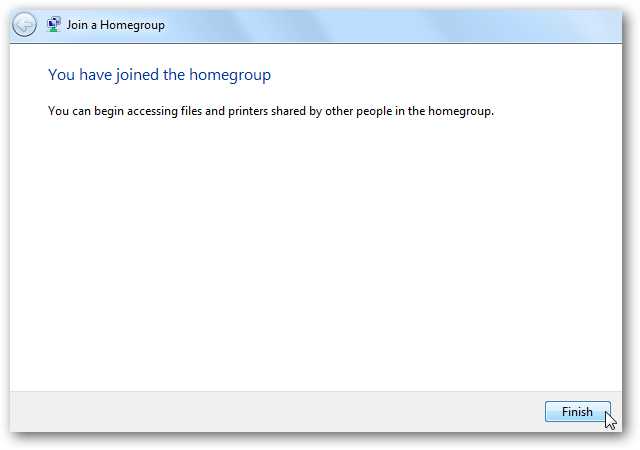 Next click on the Create a homegroup button. 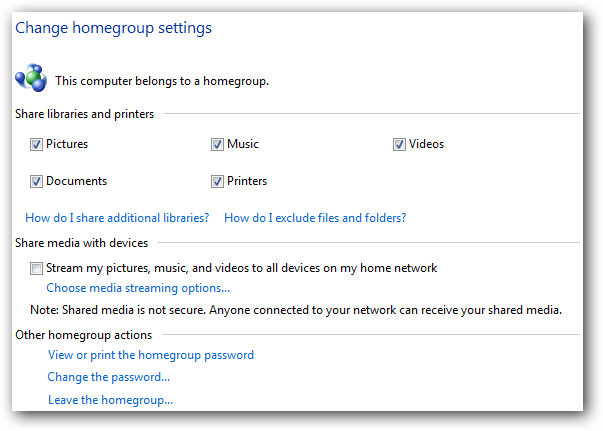 In the Create a HomeGroup screen select what you want to share with the other machines. After the group is created you will get a password to access it from the other computers. 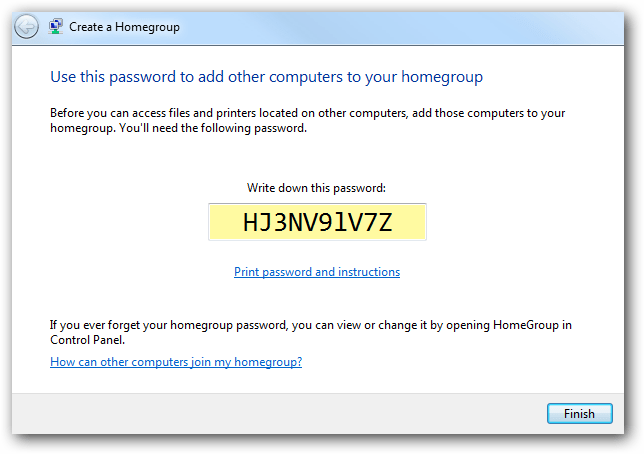 After you get the Password you’re brought back to the HomeGroup screen where you can make additional changes if you want. 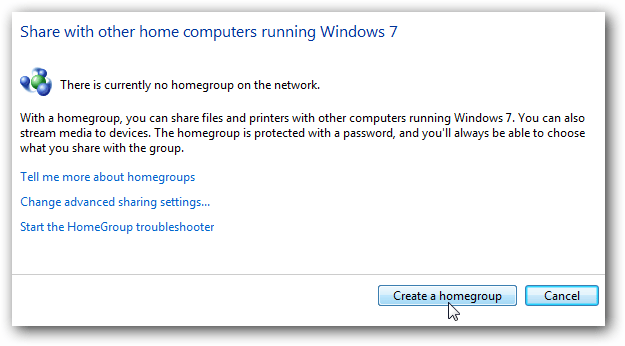 On the other Windows 7 computer(s) go into the HomeGroup feature and click to join the group you just created. 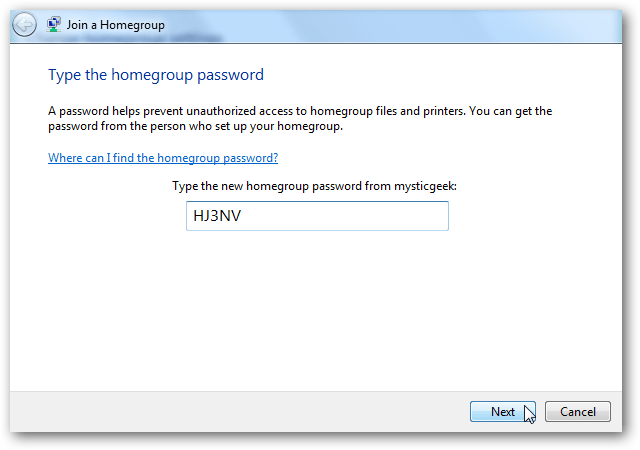 Enter in the password that was created for the HomeGroup. When the password is accepted the connection will take place and you’re finished. If you don’t want to use a password at all go into the Network and Sharing Center under advanced options and turn off password protected sharing. Another thing you might want to do is create a shortcut to the HomeGroup. 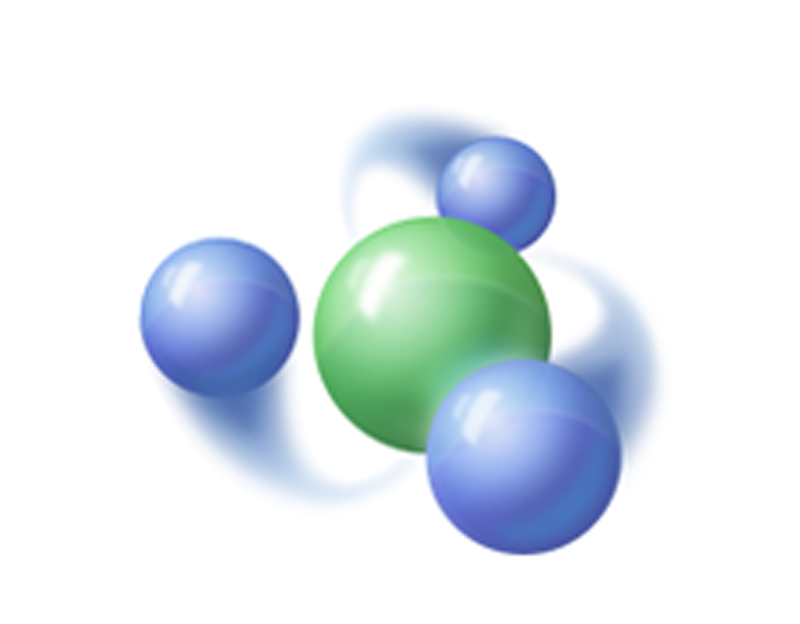 I just go into Network and copy the icon to my desktop by Right-Clicking and dragging it. A more direct approach is to create shortcuts directly to the shared public folders but of course it’s completely up to you. 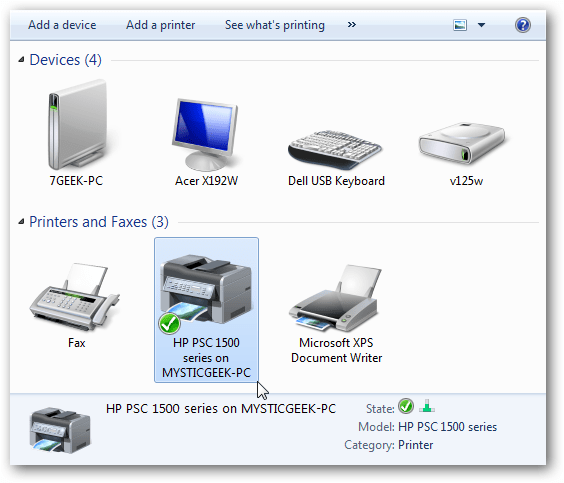 To share a printer make sure to select Printers when creating the group and when you go into Devices and Printers on the Start menu you should see it and can set it as the default if you wish. 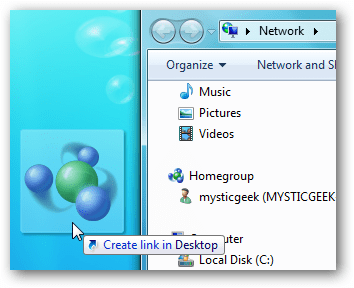 This should help get you started sharing files and printers between you’re Windows 7 machines on your home network.